The PowerRouter is an innovative inverter/energy management system that broadens the range of options for using power from small-scale electricity generators such as solar PV systems, giving solar- and wind-powered homes and businesses more independence from the grid. 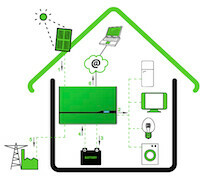 Unlike conventional grid-connect inverters, the PowerRouter allows households and businesses with batteries the option of storing solar power for later use, and even enables them to use their solar power in the event of grid failure or blackouts. The technology’s simple ‘plug-and-play’, modular nature makes upgrading and expansion simple (“connect and grow”), and web-based system monitoring capability comes standard with all units. For most households, solar panels are not of much use without an inverter. The inverter is the part of a solar power system that converts DC electricity to grid- and appliance-friendly AC electricity. With conventional grid-connect inverters, the power produced is either used directly by the occupants of the building or exported to the grid as it is produced. Households do not ordinarily have any say regarding when the power produced is used–if they want to take advantage of this power (especially in a state with no solar feed-in tariff like NSW), they have to use it when it is generated, or it goes into the grid. This is the case even with some of the ‘smarter’ inverters that have Maximum Power Point Tracking (MPPT) capability. Depending on what extensions are added to the basic Solar Inverter unit, the PowerRouter circumvents this limitation with its intelligent ‘firmware’. This allows power to be used according to the system owner’s preferences. The PowerRouter Solar Inverter itself is a high-tech, MPPT-equipped inverter that enables the owner to choose whether to have solar power exported to the grid or used first in the home (“self-use”). This is beneficial in areas where the solar feed-in tariff rate is higher than the commercial tariff rate (such as Queensland, South Australia, and Victoria), and where it therefore pays to maximise electricity exports to the grid. All PowerRouter Solar Inverters come with web-based logging features that allow you to monitor production (e.g. system performance, profit, and solar yield) and control your preferences for power usage when you connect your unit to the Internet. Most inverters are equipped with an ‘anti-islanding’ feature which shuts down your inverter in the event of a blackout or grid failure. This happens for safety reasons–mainly so that electricians working to fix downed power lines do not get electrocuted by rouge solar systems. The PowerRouter, however, while still disconnecting from the grid, becomes an ‘island’ when the grid goes down, and provided the sun is out and your solar panels are producing power, you can still use your appliances by plugging them into a unique “local out” connection. Further stability can be attained by adding a battery bank and the PowerRouter’s Battery Manager unit to manage it. The PowerRouter’s modular nature makes expansion simple, saving households money on installation and upgrades. The PowerRouter’s core unit is the Solar Inverter. By adding a Battery Manager intelligent control of power can be achieved. At the moment, PowerRouter Solar Inverter and Solar Battery units are available in 5.0kW, 3.7kW, and 3.0kW versions. All units are dual MPPT capable and are compatible with all types of solar panels. i have a 3kw inverter that wont start up in the morning you have to turn it off wait a few minutes and switch back on and it works . i have 12 panels and would to go to a 5kw with battery back-up what are your thoughts. Hi Steve. That doesn’t sound good. We can’t comment too much on technical matters – probably best to get in touch with the inverter manufacturer directly if you can. I am about to replace my faulty Sharp 5yr old solar inverter and I thinking of the future in relations to a battery installation and additonal panels. Thanks for the comment. Unfortunately this article was written a few years back and the PowerRouter is no longer available in Australia. On the bright side, there are quite a few other options now on the market here. 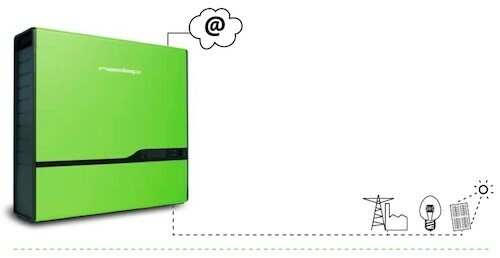 What you are after is a hybrid inverter (an inverter that can handle both solar PV and batteries simultaneously). 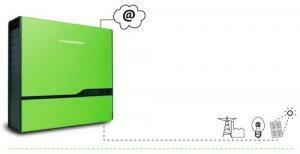 We keep a list of hybrid inverters here – please have a look. You’ll definitely want to chat with an installer about what your options are. Last year, Solar Choice launched a Battery Storage Quote Comparison service which allows our customers to compare battery storage installation costs side-by-side. You can access it by requesting a Solar Quote Comparison (fill your details into the form on the right of this page). I have 22 solar panels sitting on my roof. How many Batteries would I need and at what cost? Unfortunately, as we are an impartial solar brokerage service we do not have any physical stock and cannot quote for batteries. What we would recommend is going back to the installer of your system who should be able to offer you information and advice based on the system they put in for you. If the installer does not offer batteries, I believe not all installers do due to the low demand largely as a result of the cost involved, I would recommend researching the type of batteries you are looking at. The manufacturer should be able to advise you of a retailer or installer in your area who carries them. When researching batteries you would search based on the size of your system in KW as opposed to the number of panels you have. Previous post: How much do solar PV systems cost in Mackay, Queensland?